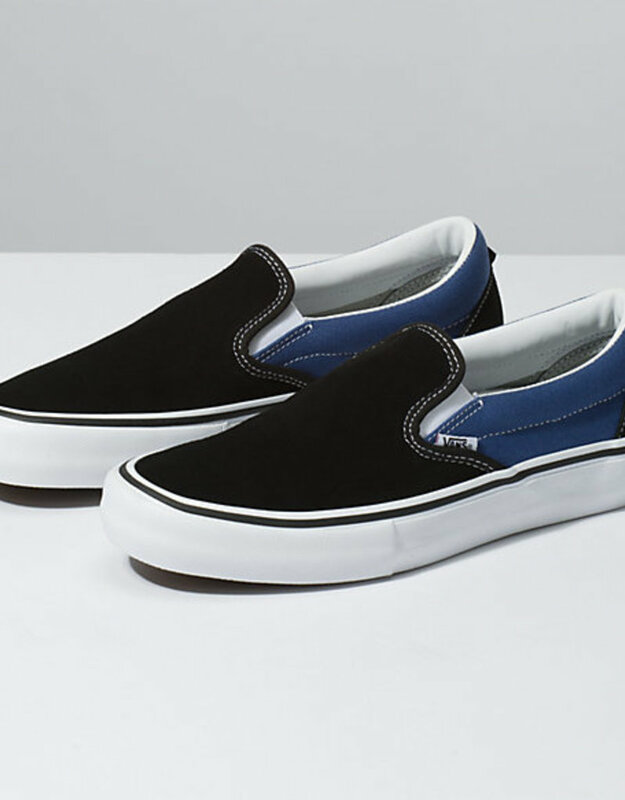 This Spring, two of the worlds most iconic skate brands team up again for a unique collection of footwear and apparel that celebrates both brands storied histories. 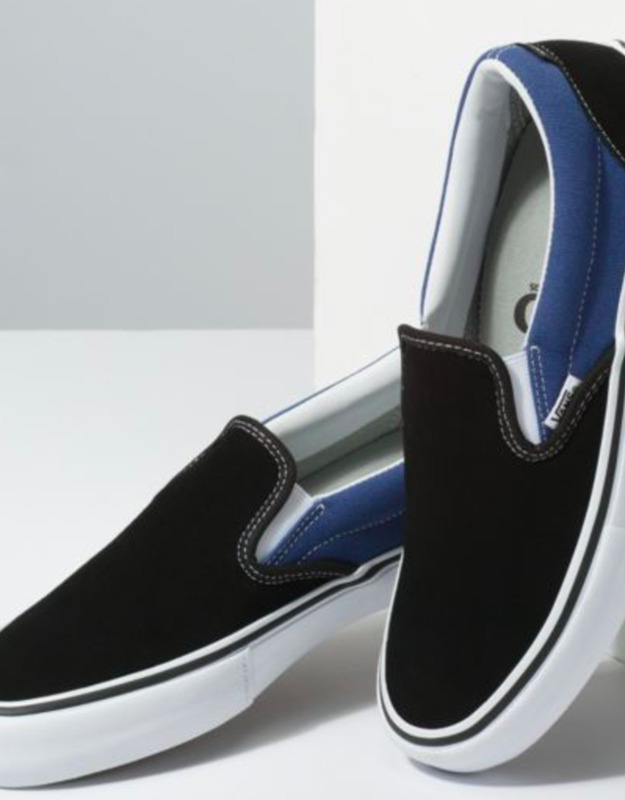 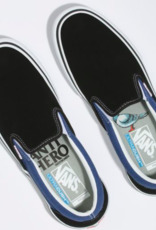 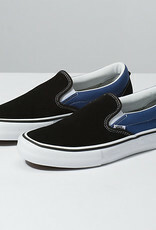 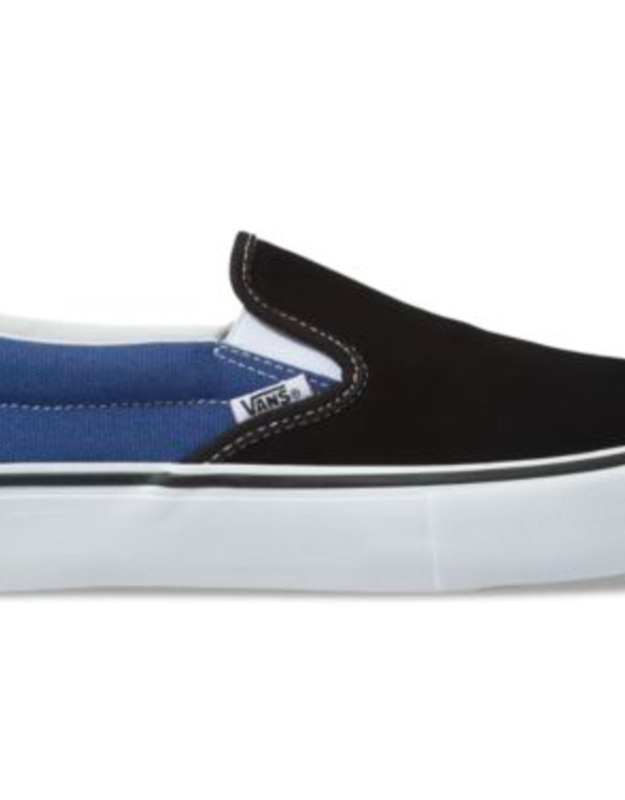 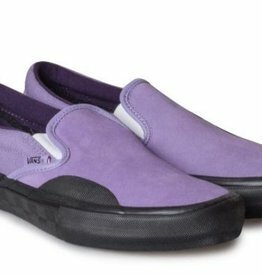 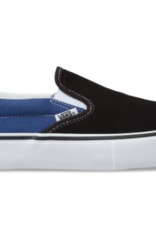 On The Wire and Off The Wall, the Vans x ANTI HERO Slip-On Pro is a low top slip-on upgraded for enhanced performance. 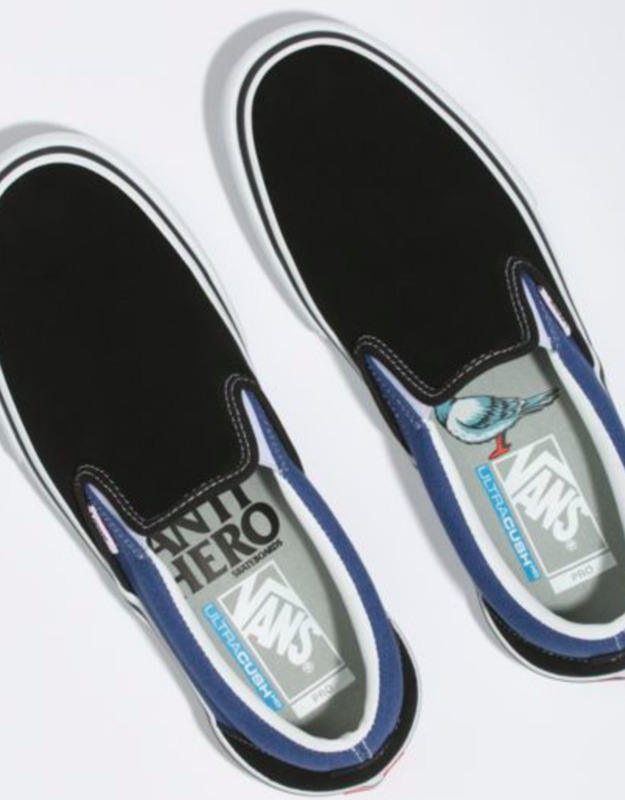 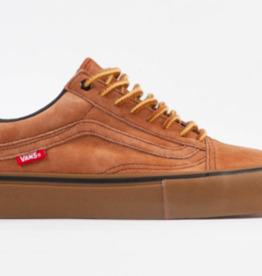 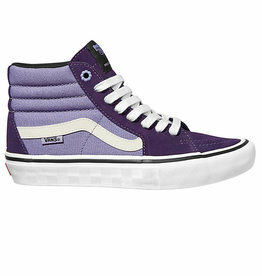 Featuring custom Vans x ANTI HERO details, the Slip-On Pro utilizes sturdy canvas and suede uppers, single-wrap foxing tape, UltraCush HD sockliners to keep the foot close to the board while providing the highest level of impact cushioning, and Vans original waffle outsoles made of a rubber that offers grip and support. 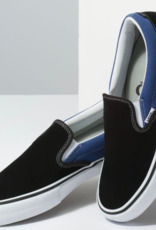 It also includes Pro Vulc Lite construction to deliver the best in boardfeel, flex, and traction, and DURACAP reinforcement rubber underlays in high wear areas for unrivaled durability.